The ancient sorcerer who grants Shazam his magical powers, the wizard has been waging a war against evil for untold centuries. Known primarily as the ancient sorcerer who granted the superhero Shazam (formerly Captain Marvel) his name and powers, the wizard named Shazam actually has a history stretching back thousands of years. In his original Golden Age incarnation, he was portrayed as an ancient Egyptian who fought against evil for centuries. When he was too old to continue, he passed along part of his power to young Billy Batson, who transforms into a superhero when he shouts Shazam's name. 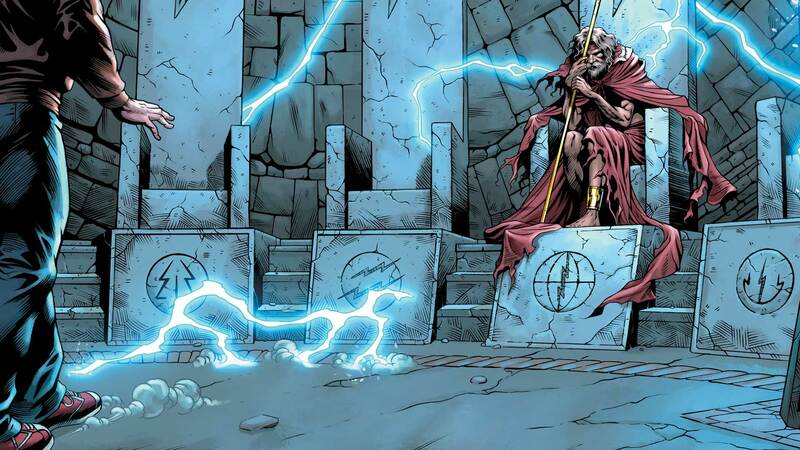 Although the wizard Shazam has passed on, Billy can summon his ghost for brief periods of time in the Rock of Eternity. He continues to give Billy guidance, and is in some ways more powerful in death than he was in life. For more on the Wizard Shazam's history, visit his page on DCUniverse.com.